Sheena Brady Tell me what's on your mind - As a certified Tea Sommelier, I'll suggest the perfect tea to pair with any and all of your desires. 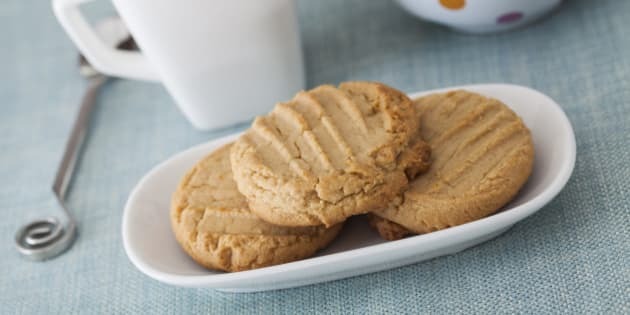 High Key image of 3 peanut butter cookies on a white oblong plate with a blue cloth along with a cup of tea and a polka dot teapot in the background. We've all heard about the traditional food and wine pairing and appreciate when a delicious, rich tannic cabernet sauvignon is flawlessly paired with a slow roasted, medium rare prime rib or a buttery glass of chardonnay to compliment the savoury, dark chocolate lava cake. But why should those people who choose not to indulge in an alcoholic beverage be robbed of the same experience? Would you believe that tea could offer the same savoir-faire? The world of tea is vast and undiscovered; let us take you on a journey through tea gardens around the world to compliment your dining experience from beginning to end. Let's start with the assortment of spicy mixed nuts you find awaiting you at your table. You want to indulge but want to ensure you find refreshment in something that will cut the heat; we all know those nuts are spicy! A beautiful Chinese English Breakfast black tea is the perfect choice. The soft toasted and jam-like notes will balance the heat and enhance the nutty flavor keeping your mouth watering for more. On to the appetizer! Perhaps a rich cheddar biscuit, or herb infused bread? A high quality Japanese Sencha green tea is the perfect pairing. Offering a sweet grassiness to not only enhance the natural herb flavor but soften the bold cheddar creating an all-around earthy indulgence that will take you back to a warm summer's day picnic in the park. Main course you ask? Whether you enjoy chicken, fish or vegetarian options, there is a wonderful tea partnership awaiting you! Organic chamomile flowers grown throughout fields in Egypt are the perfect pairing with a light and juicy chicken breast or baked filet of white fish. The sweet apple flavours throughout each sip balance the salty oils and roasted herbs encompassing you in the perfect pairing of sweet and savory. For those who prefer a delicious vegetarian option we recommend pairing South African rooibos with pasta blended with cashews and spinach tossed in a light lemon infused olive oil. Rooibos will enhance the creamy nutty flavor and compliment hints of citrus throughout every sip. Of course, we have saved the best for last! We all know a love for chocolate is embedded in cultures around the world and always catches your eye as you travel through the dessert menu. Whether it is a rich dark chocolate lava cake or a light milk chocolate hazelnut cookie, nothing beats a fresh mint chocolate infusion. A soft spearmint and sunflower blend sourced from leaves throughout Canada and The United States will compliment your chocolate choice and perhaps offer slight nostalgia of your childhood days diving into mint chocolate chip ice cream and peppermint patties. 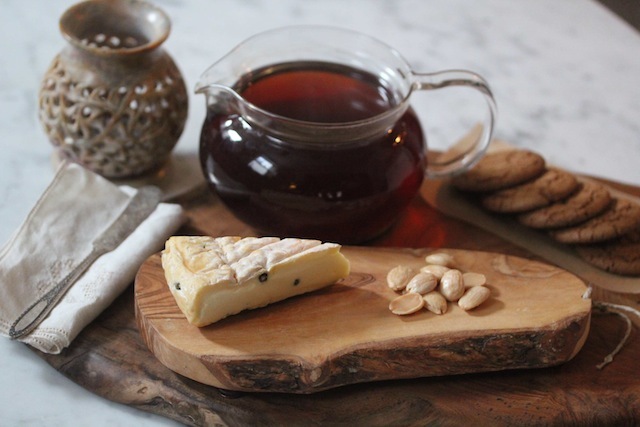 Tease Tea NYC and Chef Carla Hall are offering the perfect cookie and tea pairings in the Gansevoort Market in New York City! From 'Grass Fed Cow' to 'Thin Mint' these pairings are surely going to brighten your day and offer an experience to remember!